This photo was taken in scheduled logging coupe EP011A last Friday. 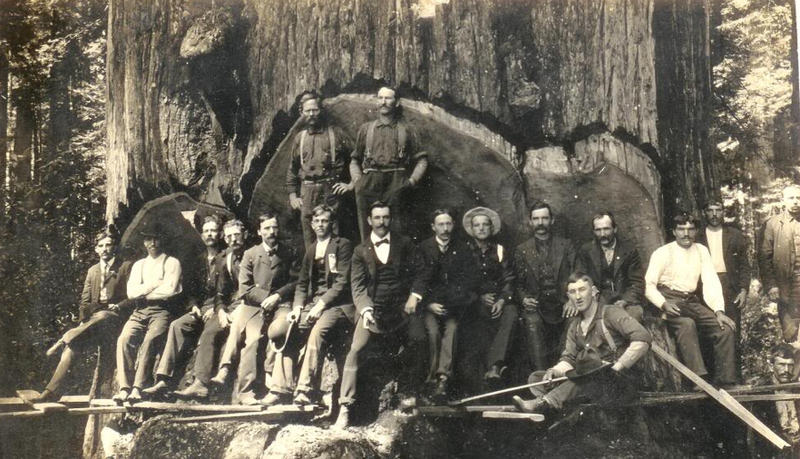 To all but the exploitation deniers, the demise of industrial logger Gunns this week was a fait accompli about a case of insular management obstinately pursuing an unsustainable business model. Gunns plans for industrial deforestation have deservedly been condemned to civilised obsolescence like the Atlantic Slave Trade and the Fur Trade before it. Gunns employees, contractors, suppliers, investors and lenders have all been in denial – ‘market denial‘ – a story of “corporate arrogance, complacency, denial and hubris“. And the Tasmanian and Australian parliaments have been equally negligent in delaying the implementation of their 2011 ^Tasmanian Forests Intergovernmental Agreement to transition Tasmanians out of this dying native timber industry, as well as shunning their broader social responsibilities to dependent communities. They have allowed the problem to fester and to escalate. So now the inevitable crash has been all the more severe for all involved. This is a classic failure of leadership and of a parochial culture locked in 20th Century exploitism and despondently lost trying to find sustainable profit in a more complex and very different 21st Century. Ta Ann Tasmania now remains the major driver of logging operations that continue to destroy large areas of old growth and high conservation value forests in Tasmania. Ta Ann Holdings is a Malaysian-based multinational logging and timber products company. The Ta Ann Group has a track record of rainforest destruction and human rights violations in the Malaysian state of Sarawak. The Ta Ann Group’s operations began in 1985 when a subsidiary was granted a 257,604 acre concession to extract timber in the Kapit District, in the Malaysian state of Sarawak. In recent years the conglomerate has grown substantially to be among the top five timber groups in Sarawak. The Ta Ann Group includes many subsidiaries and is worth around $US1.6billion. The principal activities of the Ta Ann Group are in oil palm, timber concession licenses, trading logs, and manufacturing as well as the sale of sawn timber and plywood products. Japan and Europe are the main markets for structural plywood and floor base boards produced by the company. In January 2006, Ta Ann was welcomed to Australia’s island state of Tasmania with a golden political handshake and they have since established forestry operations to sell Tasmanian wood products to customers in Japan, China and Europe. Ta Ann’s decision to commence operations in Tasmania was likely driven by two core objectives: they were offered hardwood by the state-owned forestry company, Forestry Tasmania, at lower rates than they could access in Malaysia or Indonesia and they needed Tasmania’s ‘clean, green’ brand to access an increasingly environmentally concerned and lucrative international market. Ta Ann Tasmania has rejected timber from plantations, staked its future on continued access to timber from native forests and has actively lobbied to stall an industry-wide transition to plantation harvesting. Ta Ann has received timber from the destruction of Tasmania’s world class forests, including timber from old growth forests, forests with recognised World Heritage values, threatened species habitat and other forests that are of high conservation value. Malaysian-owned Ta Ann does not process old growth but accepts wood from forest coupes where some old growth, or forest regarded by green groups as of high conservation value, may be harvested. 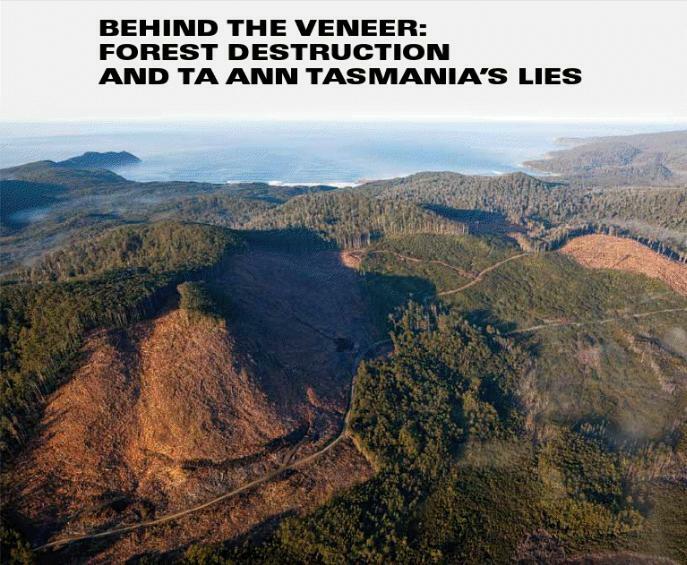 This has led conservation groups to attack Ta Ann’s two Tasmanian mills as the main “driver” of the destruction of many of Tasmania’s oldest and most environmentally significant forests. Huon Valley Environment Centre (HVEC) and Markets for Change have pursued their advocacy campaign for the protection of high conservation value forests and a rapid transition out of native forests in Tasmania. This has included actually travelling to Japan to Ta Ann’s Japanese markets. They have exposed Ta Ann’s false claims of using only plantation timber. They have exposed Ta Ann’s sourcing of timber from high conservation value forests, accused Ta Ann of lying to their Japanese markets about timber certification, and directly lobbied Ta Ann’s Japanese customers to tear up their contracts with Ta Ann and instead seek timber supply that meets high environmental standards, that which the current industry in Tasmania does not meet. So when it was discovered this week that The Wilderness Society (TWS) and Australian Conservation Foundation (ACF) on 20th August 2012 had unilaterally written a letter to the Japanese customers to ask these customers to continue to purchase timber from Ta Ann Tasmania, naturally HVEC and Markets for Change were appalled. The letter by ACF’s Don Henry and TWS Inc.’s Lyndon Schneiders requests the Japanese customers to continue to purchase the contentious wood supply that Ta Ann Tasmania is supplying. TWS and ACF are accused of selling out Tasmania’s native forests by secretly undermining the market campaigns of fellow conservationists in Japan and Australia. TWS and ACF are accused of “treachery” and “betrayal”. Markets for Change and the Huon Valley Environment Centre yesterday expressed shock and dismay at the letter, accusing ACF and TWS of secretly undermining their campaigns, which had been blamed for some cancelled contracts. Huon Valley Environment Centre campaigner Jenny Weber said the letter, sent to Ta Ann customers on August 20, seriously undermined campaigning in Japan against the veneer maker. “It’s unprecedented that TWS and ACF are prepared to support the forest industry and undermine not only our own campaign but that of Japanese campaigners,” Ms Weber said. “We have felt that these organisations have worked against us in the Japanese markets, and worse still they have supported a forestry industry that is not yet sustainable, committed to a transition out of native forests, and continues to log world heritage value and high conservation value forests. A forestry industry where the biggest timber company is a Malaysian logging company with a record of displacing indigenous people and environmental desecration in their home state of Sarawak. The letter states; “As a buyer of Tasmania forests products we continue to respectfully request that you not make any decisions that could adversely affect Tasmanian suppliers during the current negotiations that are now closer to achieving a sustainable future for the forest industries in Tasmania. Far from giving peace a chance, the letters have reduced pressure for the forestry industry to come to an agreement. There is still no final forest agreement in Tasmania and the outlook is bleak as forestry industry representatives have now suspended their participation in the talks,” Ms Weber continued. “This is not a time for these environment groups to lose their way and become the green tick for an unsustainable native forest logging industry in Tasmania. This is one step too far for these groups who have been waylaid by a long drawn out process that has not delivered any conservation gains and these conservation groups are endorsing the very company that contributes to the devastation of the forests for which they are trying to secure protection,” Ms Weber concluded. “This act is undermining the chances of achieving protection of magnificent forests in Tasmania, and also the campaigns of Tasmanian, Australian and Japanese groups who have been participating in a successful markets campaign for the past twelve months”, said Peg Putt of Markets for Change. “We have consistently asked companies receiving Ta Ann product to call for an immediate stop to logging the conservation claim in Tasmania whilst negotiations over the future protection of these forests take place, and to refuse to take wood product coming from inside this area. “The ACF and TWS letters are clearly designed to counteract this campaign and to appease the forest industry. 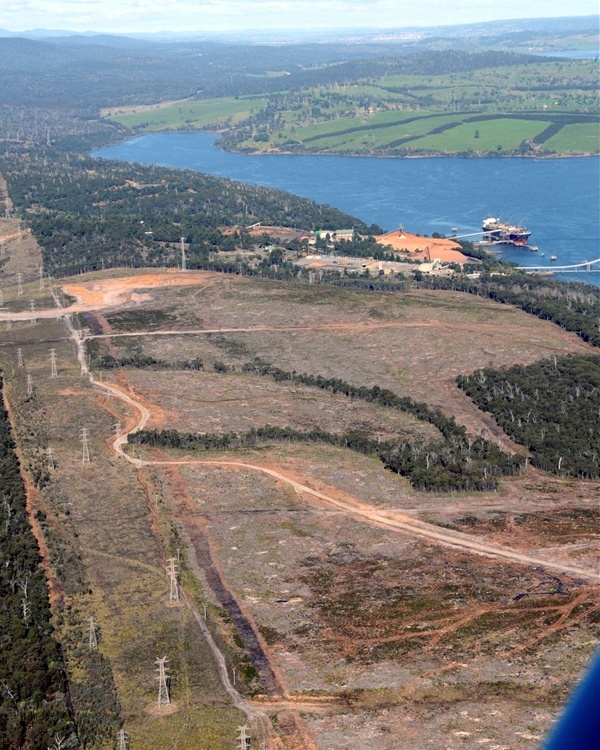 They repeatedly express concern for “a sustainable future for the forest industries in Tasmania”, but not for the fate of the magnificent forests under the chainsaw. 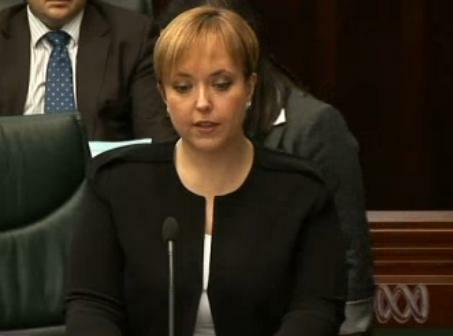 We do not believe that their members and supporters are aware of or would condone their actions” Ms Putt said. “The Australian Conservation Foundation (ACF) and The Wilderness Society Inc. (TWS Inc) have sent false confidence to the Japanese customers of Ta Ann. This miscommunication in the markets will increase uncertainty. The fact remains that Ta Ann is shipping high conservation value forests to Japan, and these environment groups have endorsed this controversial product in the international market,” said Jenny Weber of the Huon Valley Environment Centre. No organisation is so big that it cannot fail. It is recent logging industry appeasement that since last month has seen Planet Ark lose its environmental credibility with many. Planet Ark was formed in 1992 and is well known for having established ‘National Tree Day’ across Australia – ‘Australia’s largest community nature event’. Planet Ark claims to be “an environmental organisation committed to encouraging positive behaviour change… We guard our independence and reputation fiercely.” ~ Planet Ark. Yet just last month (August 2012) Sydney-based environmental not-for-profit organisation, Planet Ark, has been found out allowing its Planet Ark logo to be used on advertisements for timber, paid for by Forest and Wood Products Australia (FWPA). It is part of a sponsorship deal in which Planet Ark gets $700,000 from the timber industry. The deal involves Planet Ark’s public endorsement in the ‘Make It Wood’ advertising campaign which promotes the increased use of certified, responsibly sourced wood as a building material, along with the organisation’s decision to join the timber industry’s certification system for wood products, called the Australian Forestry Standard (AFS). 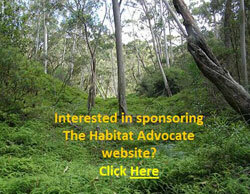 Yet the AFS Scheme has been found to have allowed timber to be sourced from high conservation value native forests. 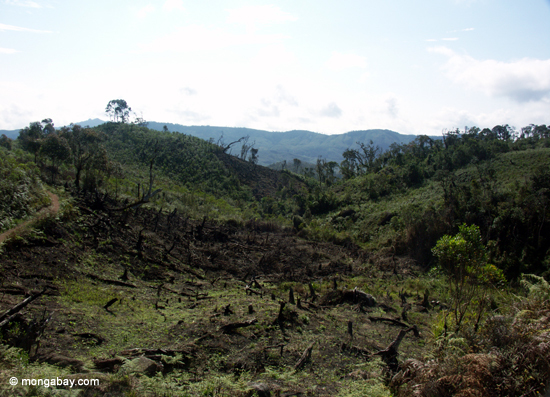 A timber company ticked off by the AFS was last year fined for illegal logging. AFS board member, the Victorian Government’s industrial logger, VicForests, was fined more than $200,000 by the Victorian Government’s Department of Sustainability and Environment for logging over allocation. 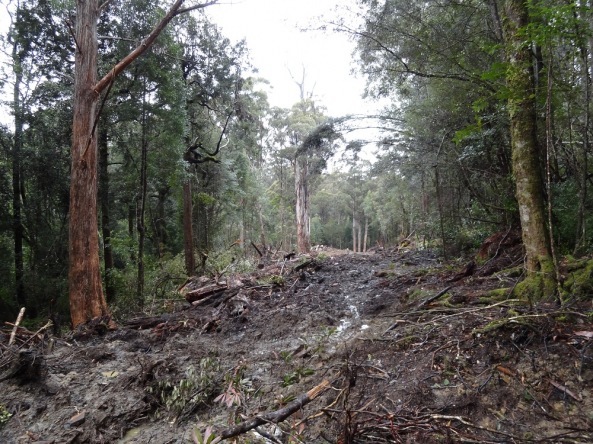 ViCforests has also lost a Supreme Court case for planning to log threatened species habitat in East Gippsland and is being taken to court this year over alleged rainforest logging. Reflex (copy paper) lost its Forestry Standard Certification by using native forest timber supplied by VicForests, yet retains AFS certification. 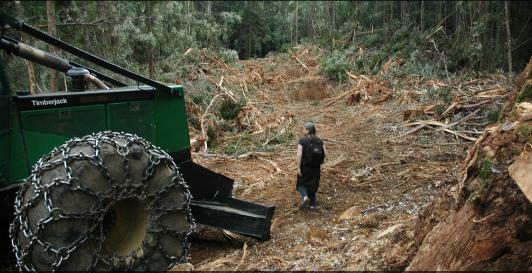 The Tasmanian Government’s industroial logger, Forestry Tasmania, had its AFS certification renewed in July 2012, despite its ongoing clearfelling of high conservation forests and scorched earth practices that permanently destroy forest ecology and replace it with plantation timber, which it then calls ‘sustainable timber’. Conservationists have accused Planet Ark of having gone over to the ‘darkside’. 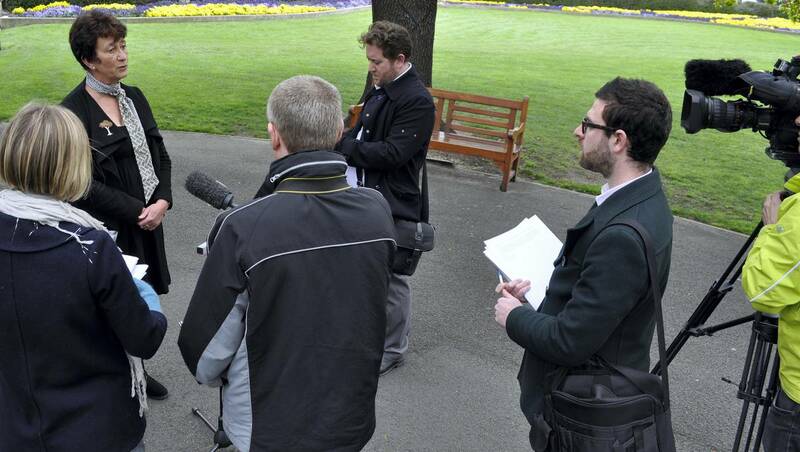 Independent Senator Nick Xenophon says Planet Ark’s deal with the timber industry is a conflict of interest. “There could be a perception that who pays the piper calls the tune. And when you’re getting $700,000 in donations from the industry and part of the review of the forest standard, then it raises some serious questions of a potential conflict of interest,” he said. The Director of environment group My Environment, Sarah Rees, says these are confronting issues for big NGOs who traditionally don’t come out against each other. “Discussions with Planet Ark with organisations including the Wilderness Society and Greenpeace over 14 months have failed to get Planet Ark to amend its attitude to the issues of clear-fell logging. 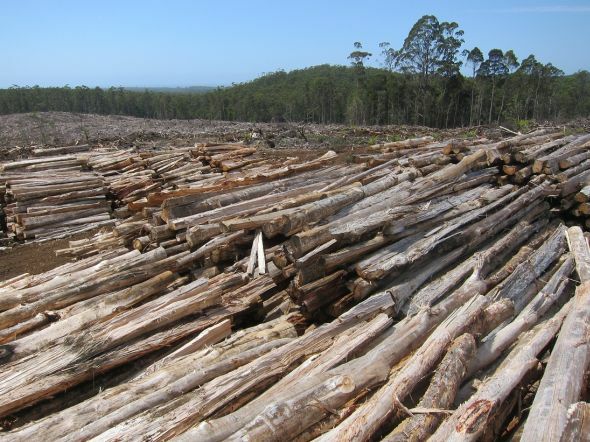 The Australian Forestry Standard provides certification for logging in extensive areas of native forests across Australia, and for wood products arising from such logging. Watch the new promotional video ‘The Facts’ right now to see what sort of assurance the standard provides to retail customers and the Australian consumer about the forest and wood products they are purchasing.